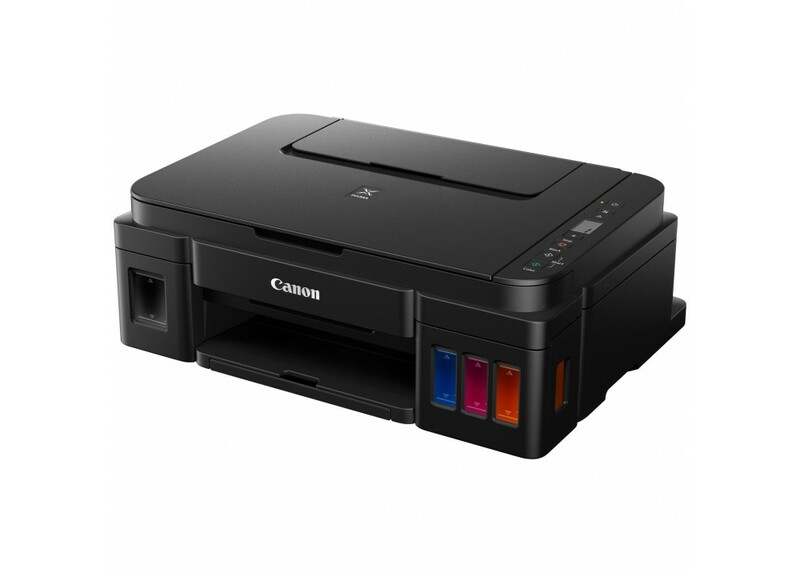 Functions :- Functions : Print, Copy, Scan .Printer Specifications :- Print Resolution : Up to 48001..
- Functions : Print, Copy, Scan . - Print Resolution : Up to 48001 x 1200 dpi . 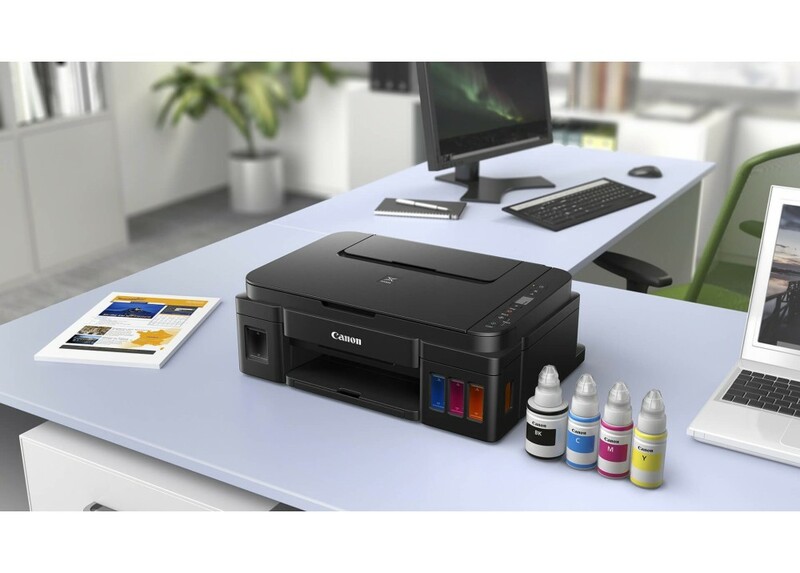 - Print Technology : 2 FINE Cartridges (Black and Colour) Refillable ink tank printer . - Mono Print Speed : Approx. 8.8 ipm . - Colour Print Speed : Approx. 5.0 ipm . - Photo Print Speed : Borderless 10 x 15 cm: Approx. 60 seconds . - Borderless Printing : Yes (A4, Letter, 20 x 25 cm, 13 x 18 cm, 13 x 13 cm, 10 x 15 cm) . - Cartridges And Yields : Standard Ink Cartridges : GI-490 <PGBK> , GI-490 <C> , GI-490 <M> , GI-490 <Y> . A4 colour documents printing "Estimated supplemental yield"
10 x 15 cm colour photo printing . High Resolution Paper (HR-101N) . Photo Paper Plus Glossy II (PP-201) . Photo Paper Pro Luster (LU-101) . Photo Paper Plus Semi-gloss (SG-201) . Glossy Photo Paper "Everyday Use" (GP-501) . Matte Photo Paper (MP-101) . - Maximum Paper Input : Rear tray: Max. 100 sheets (plain paper) . - Paper Sizes : A4, A5, B5, 10 x 15 cm, 13 x 18 cm, 20 x 25 cm, Envelopes (DL, COM10), Letter, Legal . Plain paper: 64 – 105 g/m² . 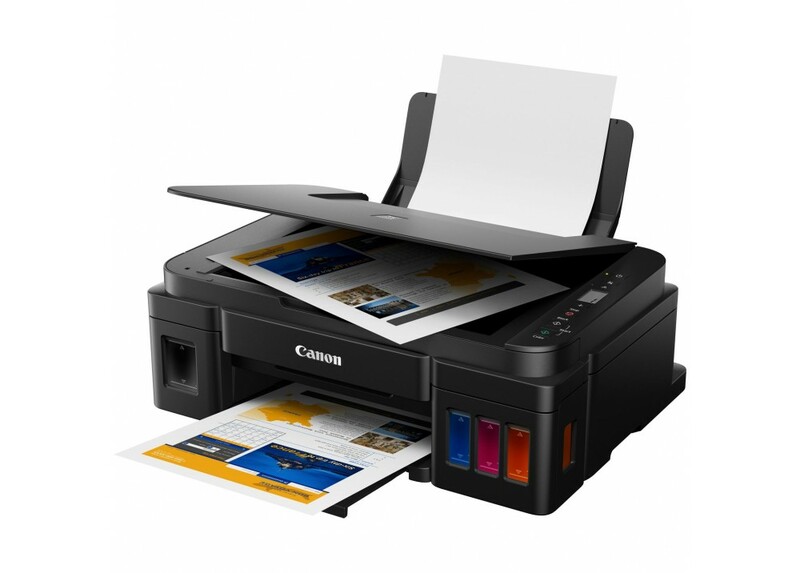 Canon photo paper: up to 275 g/m² . 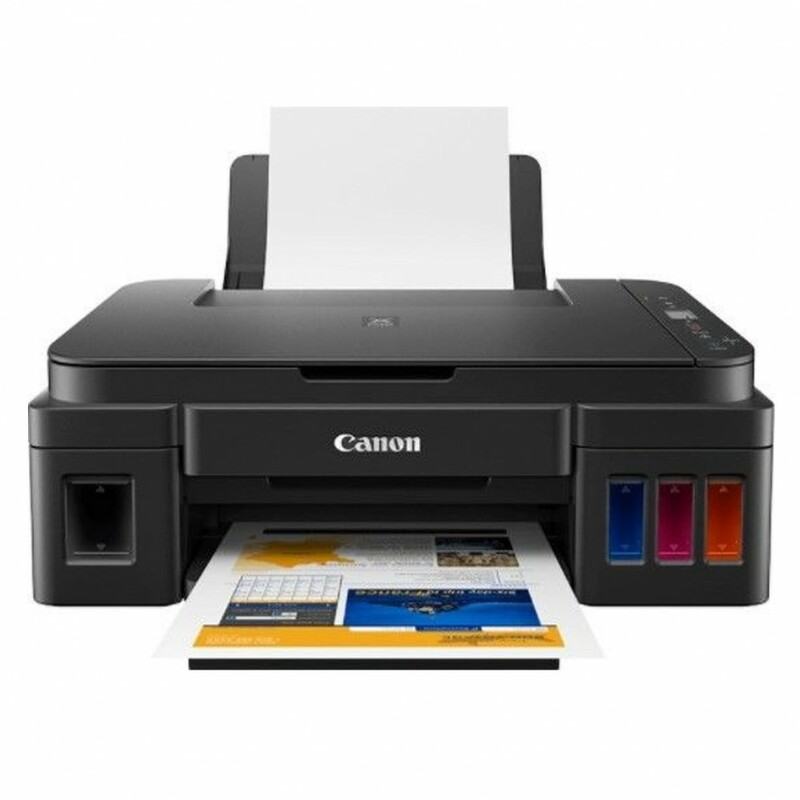 - Scanner Type : CIS flatbed photo and document scanner . - Scanner Resolution (Optical) : 600 x 1200 dpi . - A4 Scan Speed : Approx. 19 sec . Colour: 48 bit / 24 bit . Greyscale: 16 bit / 8 bit . - Maximum Document Size : 216 x 297 mm . sFCOT: Approx. 32 sec . sESAT: Approx. 1.7 ipm . - Multiple Copy : 20 copies (max.) . - Copy Functions : Document copying (plain paper) . - Copy Zoom : Fit to page . - Display Type & Size : LCD (1.2 inch segment mono) . - Interface Type - PC / Mac : Hi-Speed USB (B Port) . Windows 10, Windows 8.1, Windows 7 SP . .NET Framework 4.5.2 or 4.6 is required . Windows: 3.1 GB disk space, Internet Explorer . Display: 1024 x 768 XGA . MP Driver including Scanning Utility . My Image Garden with Full HD Movie Print . - Acoustic Noise Levels : Approx. 53.5dB(A) . - Operating Temperature : 5 – 35 °C . - Operating Humidity : 10 – 90 %RH (no dew condensation) . AC 100 – 240 V, 50/60 Hz . Power Consumption : Off: Approx. 0.2 W .
Standby (connected to PC via USB): Approx. 0.6 W (scanning lamp off) . Standby (all ports connected): Approx. 0.6 W (scanning lamp is off) . Time to enter Standby mode: 10 minutes 48 sec . Copying: Approx. 9 W .
- Dimensions (W x D x H) : Approx. 445 x 330 x 163 mm . - Weight : Approx. 6.3 kg .